Rappers Ludacris and T-Pain were among the stars joining Chance the Rapper for his eventful Chicago birthday party Sunday night. Chance held the star-studded 24th birthday bash at Studio Paris Nightclub in River North. The sold-out event called Chance the Birthday benefitted Chance's organization Social Works, with all proceeds going to the group. And the cake? It doesn't get much more Chicago than this. Thank God for the people in my life. I've had unimaginable & undeserving blessings in my 24 years here. I love you chicago, let's see what we can do for this world. At one point, Chance, a South Side native, joined Ludacris, who once lived in suburban Oak Park, as the pair sang Ludacris' song "Move (Expletive)," according to the Chicago Tribune. Earlier in the day, the recent Grammy winner was given a special birthday track from his brother and fellow artist Taylor Bennett. 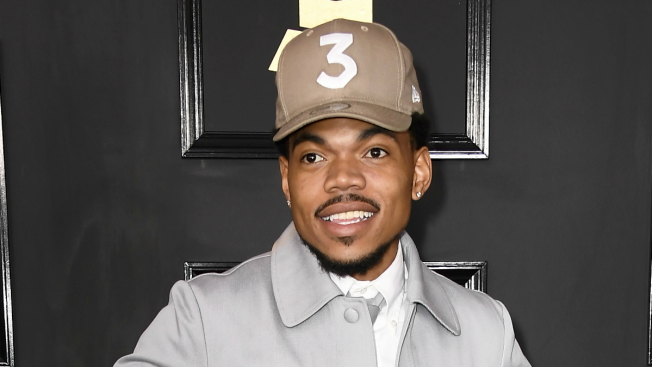 Several other celebrities and Chicago groups, including Ellen DeGeneres and the Cihcago Bulls, also gave Chance birthday shoutouts on social media. Happy birthday, @ChancetheRapper! Love, Ellen the Daytime Television Host. Chance is slated to perform at this summer's Lollapalooza music festival.